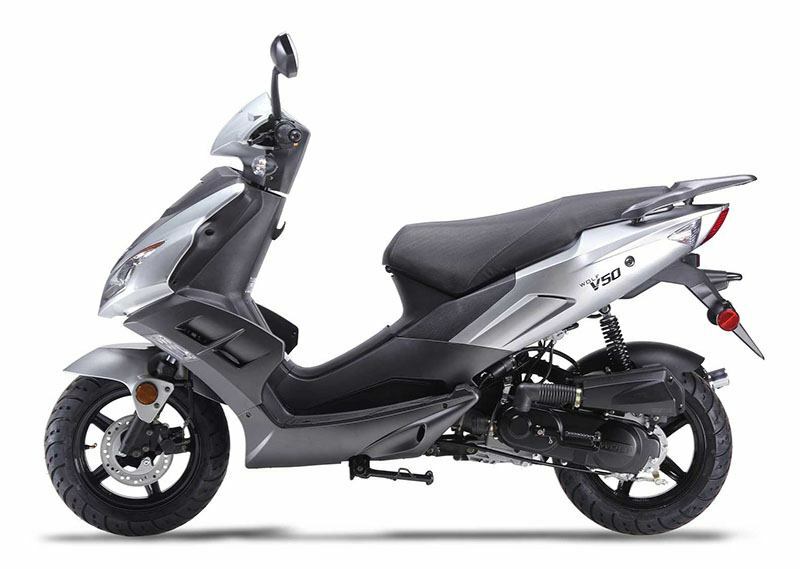 The R1 / V-50 is our popular two-seater scooter. 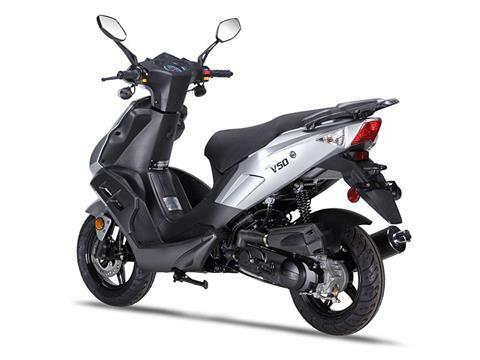 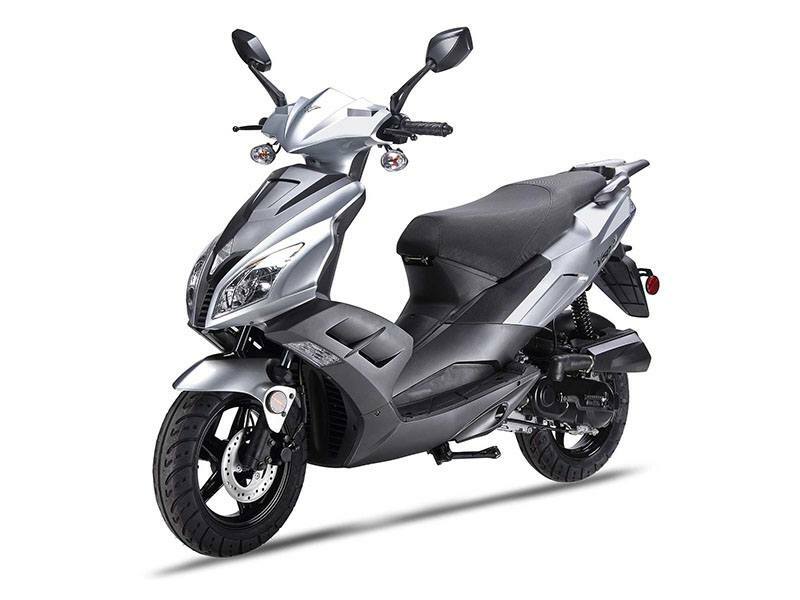 Featuring a 50cc 4-stroke engine, it’ll get you where you need to go! 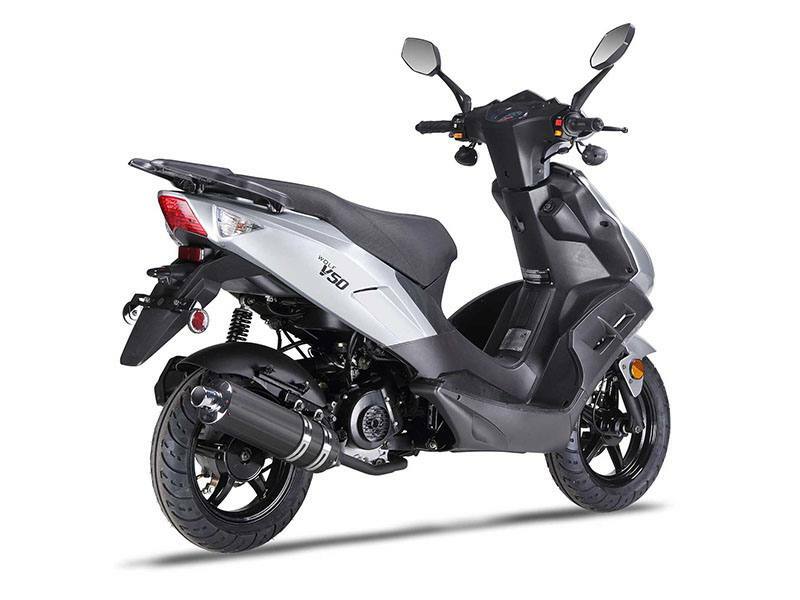 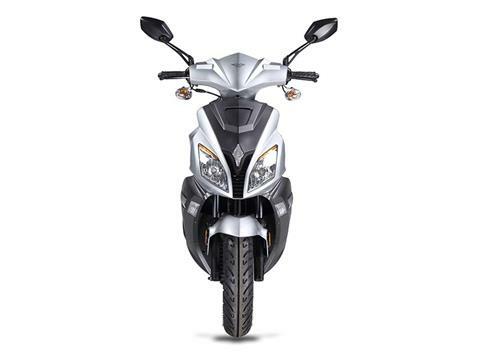 It has enough power and agility to make you feel extra comfortable on the road and it’s got a popular sport bike look that can’t be out done. 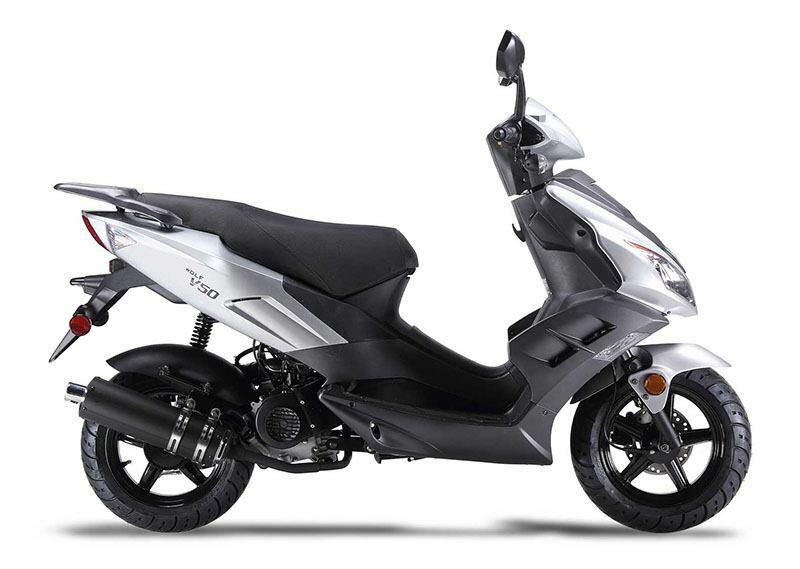 Sleek, sporty, and cool…what more could you want?! A good price… oh we can handle that!